If not for eating then for stringing into decoration, this Lemax Gourmet Popcorn Factory Christmas Villageelement is hard at work. Running day and night it just might produce enough popcorn for the Holiday Season. Meanwhile this one draws attention to the entire village offering. 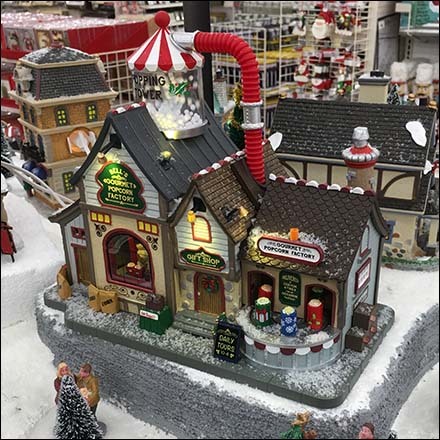 This Lemax Gourmet Popcorn Factory Christmas Village Video courtesy of Michaels.